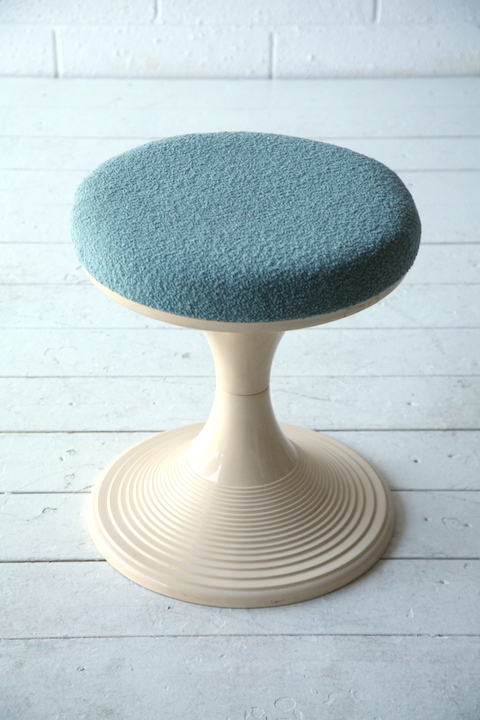 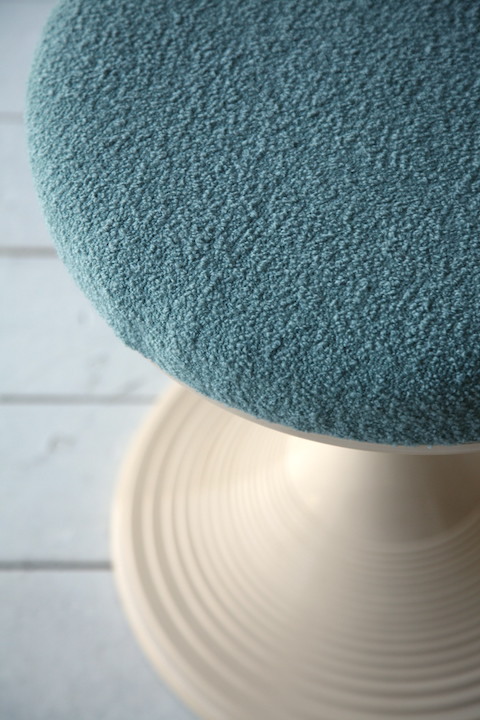 A lovely 1960s fibreglass stool. 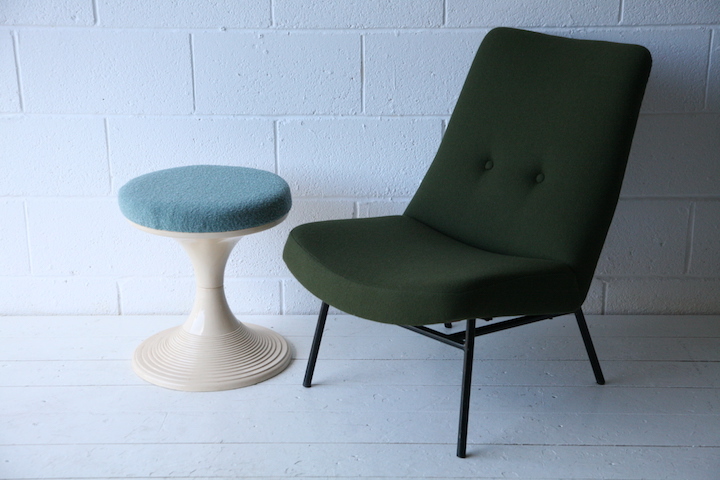 With off white base and upholstered top with new Bute upholstery. 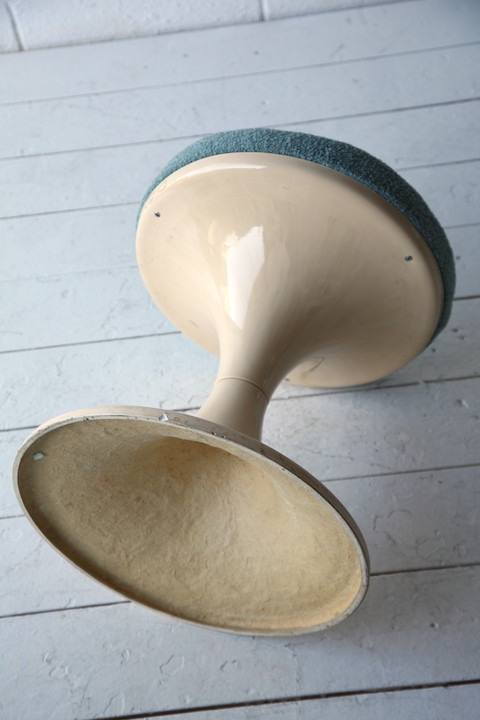 In good vintage condition with some age related wear on the base.